Chef, author and TV personality Giada De Laurentiis will open her second restaurant, Pronto by Giada, at Caesars Palace in early 2018. It is her second eatery on the Vegas Strip, joining Giada across the street at The Cromwell. It will be located in the Payard Patisserie & Bistro space adjacent to Bacchanal Buffet and MR CHOW and will offer breakfast, lunch and dinner options. As the name implies, Pronto will be a fast-casual format. “This will be a great introduction to my food and brand, as it’s the lighter side of Italian with a fresh, California influence,” said De Laurentiis. “It will be perfect for a fast bite, and then guests can go across the street for a finer-dining experience.” Expect pastries, sandwiches, made-to-order smoothies, paninis, salads, antipasti, formaggi and salumi platters, gelato, sorbetto, cookies, cakes, an extensive coffee program, wine on tap and cocktails. Pronto by Giada, Caesars Palace, 3570 Las Vegas Blvd. S., Las Vegas, NV 89109, no phone. 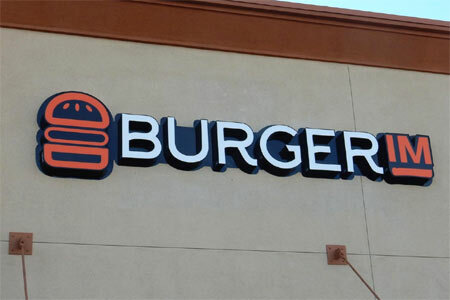 Burgerim, an international franchise that began in Israel in 2011 and is now operating more than 200 locations in 16 countries, has opened its first outpost in Nevada on Bermuda Road near Silverado Ranch. The name in Hebrew is translated as "many burgers," and the restaurant serves self-described "gourmet food fast." Patrons customize 2.8-ounce mini burgers, which are slightly larger than sliders, selecting from three buns, five sauces, 11 patties and 21 toppings. Patties come in beef, turkey, chicken, lamb, salmon, merguez, Wagyu beef, veggie, falafel, Spanish beef and dry-aged beef; and toppings include pineapple, jalapeño, avocado, bacon, grilled onions, sautéed mushrooms and fried egg. Chicken wings, salads, sandwiches, fries, onion rings, desserts, beer and wine are available, too. Burgerim is open daily: Sunday 11 a.m.-8 p.m.; Monday-Thursday 11 a.m.-9 p.m.; Friday-Saturday 11 a.m.-10 p.m. Burgerim, 9635 Bermuda Rd., Las Vegas, NV 89123, 702-724-9400. Orleans Hotel & Casino closed its French Market Buffet in May and after a $4.5 million remodel has reopened it as Medley Buffet. The former Bourbon Street theme has been replaced with a contemporary-garden aesthetic, with décor elements reminiscent of an artisan kitchen, with rustic kitchenware accenting the room. The new rendition’s offerings are more upscale, with teams of specialized chefs preparing guests’ meals at eight cooking stations: Italian (cooked-to-order pizzas and pastas), Mexican (made-to-order tacos), American (carving stations with ham, turkey, kielbasa and roast beef), Seafood (crab legs, oysters, clams, mussels, shrimp and ceviche), Asian (sushi and dim sum), Barbeque (brisket, beef short ribs and prime rib), Deli (soups, salad bar, cold cuts and cheese trays) and Desserts (18 varieties of ice cream). Breakfast $11.99, Sunday Champagne Brunch $20.99, Lunch $14.99, Dinner $20.99 and Friday seafood night (with specialty items at each station) $31.99. Medley Buffet, Orleans Hotel & Casino, 4500 W. Tropicana Ave., Las Vegas, NV 89103, 702-365-7111. La Cave Wine & Food Hideaway at Wynn Las Vegas has introduced a ‘Happy Afternoon’ menu featuring special pricing on wine, spirits, draft beers and small plates. Available daily from 2 p.m.-5 p.m., wine selections include Esperto Pinot Grigio and Ballard Lane Cabernet for $8 per glass; spirits range from Skyy Vodka to Jim Beam Bourbon, Gilbey’s Gin, Don Q Rum and Jose Cuervo Traditional Tequila for $8; and draft selections include Stella Artois, Guinness, Dragon Milk Stout and local Big Dog’s Las Vegas Lager, among others, with prices between $5-$11. Small plates are salmon sashimi tostada with pickled red onions for $12; bacon-wrapped dates with blue cheese fondue for $10; mini burgers with chipotle mayo and mushroom duxelle for $12; tomato micro mozzarella flatbread for $13; and charcuterie options, including salumi Wagyu, soppressata and Mahón for $4 each. La Cave Wine & Food Hideaway, Wynn Las Vegas, 3131 Las Vegas Blvd. 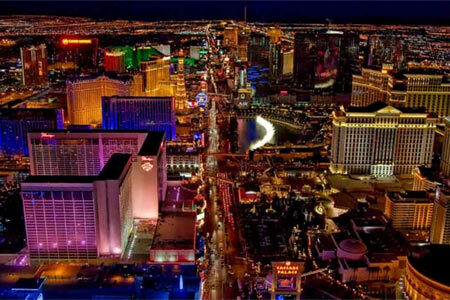 S., Las Vegas, NV 89109, 702-770-7375. If you want to cook your own turkey but not be bothered with creating sides, CRAFTkitchen in Henderson is offering several take-home Thanksgiving favorites. Menu items include pumpkin soup with spiced brioche croutons ($15.95 per quart), house-made cranberry sage stuffing with homemade ciabatta croutons ($27.95), black truffle whipped potatoes with fresh black truffle ($27.95), vanilla bean orange cranberry compote ($7.95 per pint), and honey roasted sweet potatoes topped with a handmade cinnamon marshmallow ($19.95). The sides serve 8 to 10 people. For dessert, options include the fun Rice Krispie Treat “Turkey Legs” ($3.50 each), pecan pie ($15.95), pumpkin cheesecake ($19.95) and the classic pumpkin pie ($12.95). Orders must be picked up the day before Thanksgiving prior to 6 p.m. CRAFTkitchen, 10940 S. Eastern Ave., Henderson, NV 89052, 702-728-5828. Lotus of Siam has been closed since heavy rains caused its roof to collapse at its location at 953 E. Sahara Ave. in Commercial Center on September 11. Now the acclaimed Thai restaurant has announced on its Facebook page that it will temporarily relocate to 620 E. Flamingo Rd. (near Paradise in the space formerly occupied by Roy’s) and reopen by November 1. Also indicated on the post was that Lotus of Siam will move back to its home in Commercial Center where it has resided since 1989 once the repairs have been completed and will have a second outpost as well. It has not been announced if the second outpost will be at its new E. Flamingo Rd. spot or another undisclosed address. Rí Rá Irish Pub at The Shoppes at Mandalay Place will offer a special menu featuring nutritionally balanced dishes to fuel runners, spectators and volunteers participating in the Rock ‘n’ Roll Marathon. Served from 8 a.m. to 4 p.m. Friday, Nov. 10 through Sunday, Nov. 12, dishes will include Irish oatmeal with golden raisins, bananas, walnuts and protein powder; a yogurt bowl with fresh melon, banana, berries, Greek yogurt and organic granola; whole-wheat pancakes with protein powder and sweetened with agave; green eggs and chicken (whole-wheat tortilla stuffed with scrambled egg whites, avocado, grilled chicken, feta cheese and chimichurri sauce); chickpea and barley salad with arugula, beets, cherry tomatoes and goat cheese dressed with Champagne vinaigrette; a tofu burrito with rice, avocado, black beans, cheddar cheese and pico de gallo; and a grilled chicken bowl with garlic butter smashed sweet potatoes, steamed broccoli, charred red peppers and caramelized onions. Rí Rá Irish Pub, Mandalay Bay Resort & Casino, The Shoppes at Mandalay Place, 3930 Las Vegas Blvd. S., Las Vegas, NV 89119, 702-632-7771. On October 1st, Las Vegas suffered an unthinkable tragedy, as a gunman fired upon attendees of the Route 91 Harvest music festival, killing 58 and wounding nearly 500. Amidst this act of pure evil were countless tales of heroism as first responders, concert goers and members of the community aided victims. In the days that followed an outpouring of help flowed from the community, as hotels donated rooms, Uber and Lyft provided free rides to and from nearby hospitals and blood donation centers and droves spent up to eight hours waiting in line to donate blood. Local restaurants did their part as well, providing about a thousand free meals a day in the week following the tragedy to medical staff, first responders, families of victims and to those who donated blood. While this is just a fraction of the restaurants that donated meals, they included The Black Sheep, Border Grill, The Bootlegger Bistro, Bouchon, Burgerim, Charlie Palmer Steak, Delmonico Steakhouse, Chica, Evel Pie, Fleur by Hubert Keller, Nacho Daddy, Siegel’s 1941, Sparrow + Wolf, Urban Turban and Yardbird Southern Table & Bar.